Welcome to SAI MAG WHEELS , we are a family owned business committed to delivering quality products quickly. SAI MAG WHEELS based in New Delhi , was established in 1997 with the sole purpose of importing alloy wheels from quality conscious world – renowned manufacturers and distributing the same to all the regions of India . 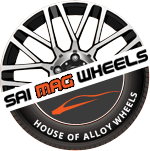 If you are looking for the best source of a wide range of quality alloy wheels, look no further than SAI MAG WHEELS , the House of Alloy Wheels . Our online store features a broad selection of alloys some of the biggest brands & leading manufacturers, all of which are available at very competitive prices. If you want to add an impressive finishing touch to your vehicle, our alloys could be the perfect investment. Whatever your budget or requirements, you will be able to find alloys to match when shopping with SAI MAG WHEELS. Simply search by car make & car model to find the perfect alloys to match your vehicle.We are the alloy wheels experts and have an extensive range of products in stock for quick delivery. We promise value for your hard earned money . Have a look around & enjoy the site. Happy Shopping !! Great Products, service & prices. Choose from 4 quality brands. Hijoin Industrial Co., Ltd. is a specialized manufacturer of automobile aluminum alloy wheels , dedicated to providing safe, comfortable and aesthetic products. HRS brand owned by Hijoin Industrial Co., Ltd. Of Taiwan is , today , the most prominent and sought after brand of alloy wheel in India . HRS branded alloy wheels have stood the test of time and passed the severe and exceptionally harsh condition of the Indian roads with flying colours. We bring to the the market the finest Italian style, a long tradition of quality, our racing experience of many years & technological innovation respectful of the environment. A place where your car will never be the same. REDS has created a range of light alloy wheels without compromising the design and made for those who are confident of their choices. The quality of finishes is at its top and reflected in every single detail, and the expression of each wheel model gives off an explosive personality. Make your choice. Choose REDS. Fuel Off-road manufactures the most advanced off-road wheels, offering the latest in design & engineering innovations on the market. Fuel Off-road Wheels are designed specifically for off-road vehicles. The rugged designs are as tough as they look..
STAR RACING WHEELS - Our home brand is produced in an ultra-modern factory with over 20 years’ experience & a work force of more than 550 highly trained employees .STAR RACING WHEELS are guaranteed to comply with international standards.Within a short span,STAR RACING WHEELS brand has created name for itself and has found acceptance among those who drive hard bargain but would under no circumstance compromise on quality. Absolutely superb service from order to delivery..